A summer house can be the ultimate accessory for a garden. It will not only spruce up your garden, but it also gives you a practical and fun place to kick back and relax with a glass of wine. The amount of summer houses on the market is incredible so to make knowing where to purchase your summer house a little bit easier for you, we have put together this top 10 summer houses retailers list. We can tell you right away that this is one of the most competitive top ten lists we have ever done, but by the end of it you are going to have a much better idea of where you should be spending your hard earned money and your time looking for the perfect summer house. working with, we are sure there will be something for you. The information they give you for each summer house and their selection of extras is fantastic, but the reason this is number 2 and not number 1 is simply because we wish that they used a few more pictures for some of their summer houses. A small nit pick we know, but when it comes to the top spot it is the little things that matter! this as it keeps the different types of summer house in their own section, but for someone who is new to things like this and has no idea what they want, then this could potentially cause them to miss some of the summer houses they have and actually find things a little too overwhelming. If you are willing to spend the time checking each section, then you are certainly going to find a summer house that suits your needs. for. When you do click on one of their summer houses, you will at first be a little overwhelmed as they give you a whole host of options to make the summer house your own. The floor, windows, colour and shelving are just a few of the things that you have control of. We love this level of customisation and are sure it is something you could have a lot of fun with . of summer house you want. With plenty of pictures and detailed descriptions, they have made sure that you are well informed about each summer house you are looking at. Also they offer plenty of extras for most of their summer houses which is something we like. workshops and other structures in this section as well, but it is mainly made up of summer houses. Still we like how they have mixed the odd thing in here and there as it does keep your mind open about what you want to buy. Waltons do a great job in telling you what you need to know about each summer house and they also use plenty of pictures to show them off. and which ones do not. They do this in the product name, so you do not even have to click on one to know if it has an assembly service. This is what we call a very nice touch. They give plenty of information about each one and most of them do have multiple pictures for you to look at. give you all the details you need to know and most of them even have a gallery of photos to look at as well. priced. You will not find any summer houses that cost thousands of pounds here and that makes this a site that would be worth checking out if you just want something cheap and do not want to be tempted by something more expensive. 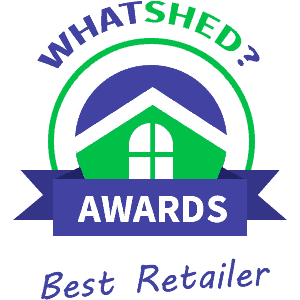 we really like the large selection that they have here, we must say that their customer service and delivery times could really use some improvement so that is certainly something to think about before pulling the trigger on a summerhouse here.